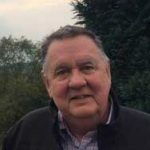 Garnet R. Atkinson, 71, of Bradenton, died Dec. 27, 2018. He was born April 10, 1947, in Windsor in Ontario, Canada, to M. Harold and Irene (Beard). Mr. Atkinson owned and operated his own truck, transporting all types of goods across the United States. After retiring in 2003, he worked for the Manatee County Golf Course. A memorial service will be at 11 a.m. Saturday, Jan. 12, at Northwest Baptist Church, 7913 Ninth Ave. NW, Bradenton. Brown & Sons Funeral Homes 43rd Street Chapel is in charge of arrangements. Memorial contributions may be made to the Wounded Warrior Project, P.O. Box 758516, Topeka KS 66675-8516. Condolences may be made to brownandsonsfuneral.com. Mr. Atkinson is survived by his wife of 38 years, Dolores (Benoit), and son Scot of Holmes Beach. Gregory T. Burke, of Bradenton, died Jan. 2. He was born in Buffalo, New York, and had a long and distinguished career as an executive with Quebecor World, formerly Arcata Graphics. He served the nation proudly, earning multiple commendations as a master chief in the U.S. Navy. Following retirement, he moved to Anna Maria Island, where he discovered his paradise, enjoyed the beautiful sunsets and continued his love of the water and boating. “Captain Greg” shared his love of the area through his work helping others find their dream homes. 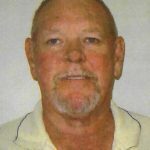 He had been an associate at Duncan Real Estate for several years. A celebration of life will be held at noon Saturday, Feb. 9, at the Key Royale Club, 700 Key Royale Drive, Holmes Beach. Brown & Sons Funeral Homes & Crematory 43rd Street Chapel is in charge of arrangements. Memorial donations may be made to the Wounded Warrior Project at woundedwarriorproject.org. Condolences may be made to www.brownandsonsfuneral.com. He is survived by his wife, Cindy Jones-Burke; sons Greg Jr. and wife Jeanine Charlton, Kevin and wife Joanne; step-children Martha and Evan Jones; sister Colleen; and grandchildren Aaron, Kevin T., Michael and Kieran. 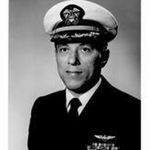 Albert “Al” John DiCostanzo, 89, of Bradenton, died Dec. 21, 2018. He was born April 27, 1929, in Valatie, New York, in the town of Kinderhook, to John and Mary (Palazzo). He graduated from Martin H. Glynn High School in 1946, proudly served in the U.S. Marine Corps until 1948, and remained in the Army reserve. He attended Syracuse University, was an athlete on both the boxing and football teams, and graduated in 1954. He was proud to have joined Beta Theta Pi and considered himself a brother for life. In 1962, Mr. DiCostanzo began his career in the corrugated box industry, employed by Inland container. In 1969, he moved his family to Racine, Wisconsin, where he worked as general manager of Racine Packaging, a division of Great Northern Corporation. Eventually he became president and part owner of the company. He married Karen Frances Buzzell in 1982. 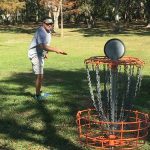 He retired in 1994 and moved to Anna Maria Island in 1998. He was an avid golfer, eternally pursuing that elusive perfect game. 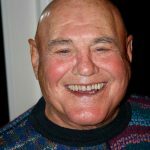 He also enjoyed watching his beloved Green Bay Packers, traveling, reading — especially the subject of history, grilling and spending time with his family, including Beau, their dog. A celebration of life will be held at 1 p.m. Saturday, Feb. 2, at Roser Memorial Community Church, 512 Pine Ave., Anna Maria. Memorial donations may be made to Tidewell Hospice of Bradenton at tidewellhospice.org/home/giving/ or Roser Memorial Community Church at roserchurch.com/give/. He is survived by his wife, Karen; son Steven J. and wife Diane of Bridgeport, Connecticut; daughters Lucy A. of New York City and Laura Tracht and husband Bob of Orlando; grandchildren Lily and Oliver, and Benjamin, Madeline and Daniel Tracht; sister, Gloria DiCostanzo-Regan of Windsor, Connecticut; and many nieces and nephews. 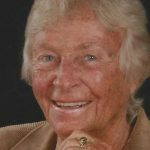 Barbara Lee Puryear, 84, of Karlin, Michigan, and Anna Maria Island, died Sept. 16, 2018. She was born April 28, 1934, in Detroit to Everett and Evelyn Barrick. She filled her life with adventure, as she and her husband hiked the Grand Canyon, snorkeled in Hawaii, canoed Quetico Boundary waters and drove their RV to Alaska. She had fun entertaining kids as Bobby Gooseberry, a professional clown. And she enjoyed bonfires on the beach at home in Michigan, as well as playing card games with friends and family. Until recently, she spent winters on Anna Maria Island, where favorite pastimes included visits to the Rod & Reel Pier and bicycling around her neighborhood. With friends, she spent delightful evenings at the Island Players theater, as well as dancing and singing karaoke at the Moose Lodge. The relaxed atmosphere of island life was a perfect way to spend her retirement. A celebration of life will be at 2 p.m. Saturday, Jan. 19 at Tropical Isles in Palmetto. She is survived by her husband of 66 years, Herbert Ladd; daughters Rochelle Day and Stacey; grandchildren Jesse and Justin Zirwes; brother Don Barrick; and sister Karen Murray. Beverly Ann (Hexum) Schauss died Dec. 20, 2018. She was born Jan. 20, 1931, in Rochester, Minnesota. She was a 39-year resident of Holmes Beach and served on the Seaside Gardens board. She attended Cottey College in Nevada, Missouri, from 1949-51. She had a long career in nursing, earning her degree in May 1982. She worked at Blake Memorial Center and Pinnacle Health, as well as other locations. A celebration of life will be held 2-5 p.m. Sunday, Jan. 20, at 464 63rd St., Holmes Beach, the residence of friend and neighbor Sandy Haas-Martens. Memorials donations may be made to Bishop Animal Shelter, 5718 21st Ave. W., Bradenton FL 34209. Shakopee, Minnesota, Cassie and husband Mat Zwiebel of Richfield, Minnesota; great-grandson Noah Zwiebel of Richfield; brother Les and wife Barb Hexum of Deephaven, Minnesota; sister Linda and husband Nick Vangelof of St. Francis, Minnesota; brother Steve Schoolmeisters of Bradenton; step-sister Joan and husband Marty Luhman of Rochester; and step–brothers John and wife Sue Schoolmeisters of Otsego, and Jim and wife Marylin Schoolmeisters of Harris, Minnesota. Dolores Jenkins Socia of Holmes Beach died Jan. 3. She was born in Mineral Wells, Texas, Sept. 18, 1930, to George W. and Willie Lea Jenkins. She was married to Edwin S. Crenshaw until his death in 1974. The family is grateful for the many wonderful nurses and caregivers who attended to her needs over the years. They cared for her like family and made sure she was able to make daily excursions and visit loved ones. A private family service was held Jan. 5 in Bradenton. Memorial donations may be made to Anna Maria Island Turtle Watch and Shorebird Monitoring, 2213 Ave. B, Bradenton Beach FL 34217. Condolences may be made online at www.griffithcline.com. She is survived by her husband of more than 40 years, Clarence J. of Holmes Beach; children Linda L. Joseph and husband Mike of Las Vegas, William E. Crenshaw and wife Denise of Lakeland, Sammye D. Simpler and husband Ken of Pensacola and George L. Crenshaw and wife Marti of Holmes Beach; nine grandchildren and 13 great-grandchildren. 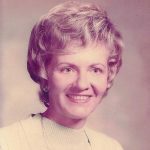 Patricia Annette (Millican) Whitfield died Jan. 3. She was born May 27, 1941, in Skene, Mississippi. She was the fourth child born to Andrew and Sarah Millican. She was married 53 years to Billy Whitfield. 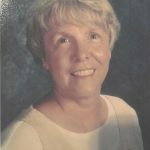 She was an elementary educator in Manatee County for more than 30 years and she spent 27 wonderful years teaching at Anna Maria Elementary School. She retired from the Manatee County School District in 2004. A graveside service will be at 11 a.m. Friday, Jan. 11, at Fogartyville Cemetery, 4200 Third Avenue NW, Bradenton. Brown & Sons Funeral Homes & Crematory 43rd Street Chapel is in charge of arrangements. She is survived by her children, Ellen Darrice and husband Vic Hoffman, William “Bill” James and wife Kapi, and Jerald “Jerry” Andrew and wife Stacey; grandchildren Wyatt and Dayle Hoffman and Chasten, Caden, Sidney and Isabelle; siblings Cille McCool, Jean Millen and Peggy Sullivan; and many nieces and nephews.